The 14th of February marks Valentine’s Day, a celebration of love and romance. So in true Fosters Bakery style, we used some of our left-over dough to have some fun! 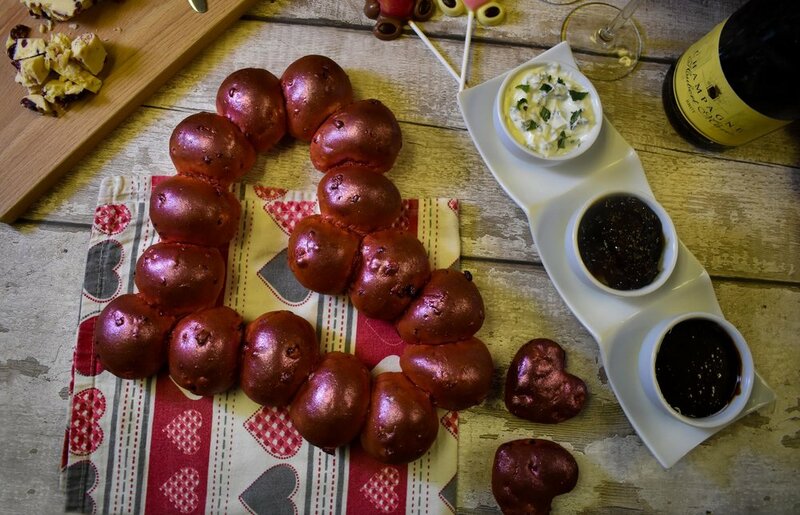 We used beetroot dough to create some heart-shaped bread. Start by making a dough! 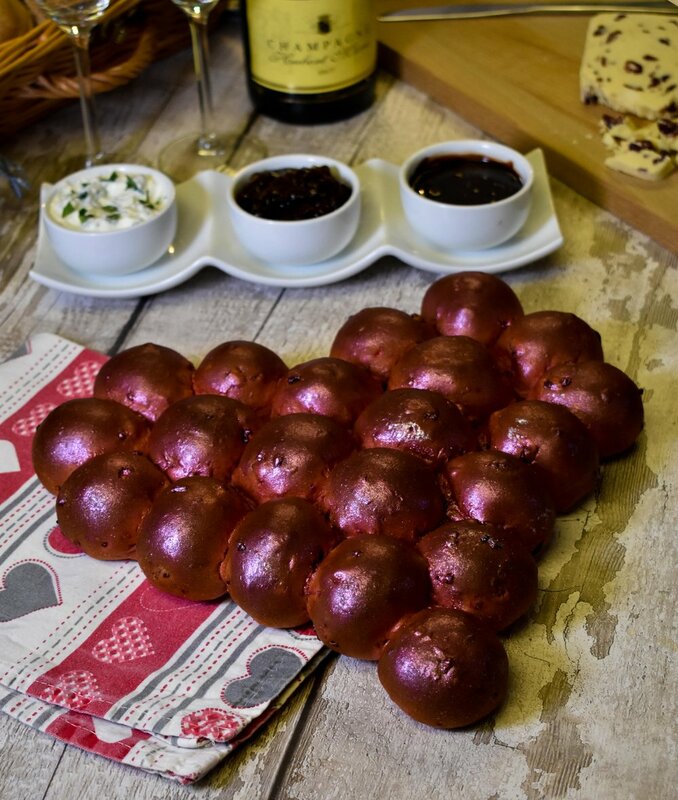 Ours is a plain white dough with added beetroot flakes which gives the dough a lovely pink colour. When you have the rolling technique mastered, roll small balls of dough and try to make them the same size as each other. We weighed ours to make sure they were the same size. Before rolling the smaller pieces of dough, practice with bigger ones in order to get the technique right. We printed an A3 outline of a love heart, placed it under tracing paper and placed our balls of dough on top, following the outline as a guide. We made two love hearts, one filled and and one just an outline. Remember to remove the paper with the printed outline on before going into the oven! In our technical department, we have a big book of flavours to refer to when comes to getting some inspiration when pairing flavours. So, we looked at what would go with beetroot, some of the flavours that came back were mint, onion and chocolate. So, to go with our tear-and-share style bread, we made a yoghurt and mint dip, a caramelised onion chutney option with Wensleydale cheese with cranberries and a chocolate ganache. Scroll down to see how ours turned out! We also brushed ours with some edible glitter to add another element of sparkle. We hope you loved our little Valentine’s Day treat, let us know if you are baking anything for your loved ones this Valentine’s Day!